Kalola, the highest tabu chiefess of the Maui court, was a daughter of Queen Kekuʻiapoiwa I (a daughter of Keawe of Hawaiʻi) and King Kekaulike of Maui. She was thus a granddaughter of Kalanikauleleiaiwi, Queen of Hawaiʻi and sister of the King Kahekili II. She was an aunt of the King Kalanikūpule. When Kekaulike died, Kalola’s brothers Kamehamehanui (an uncle of Kamehameha I) and Kauhi fought each other for rule of Maui in 1738. Battles were fought across West Maui; the war ended with the battle Koko O Nā Moku (“Bloodshed of the Islands;” Kamehamehanui won. Kalola lived with two brothers, Kalaniʻōpuʻu and Keōua, both Hawai’i island niʻaupiʻo (very high rank) chiefs. From Kalaniʻōpuʻu, the older brother, she had a son, Kalanikauikeaouli Kiwalaʻo (Kiwalaʻo.) From Keōua, the younger brother, she had a daughter, Kekuʻiapoiwa Liliha. 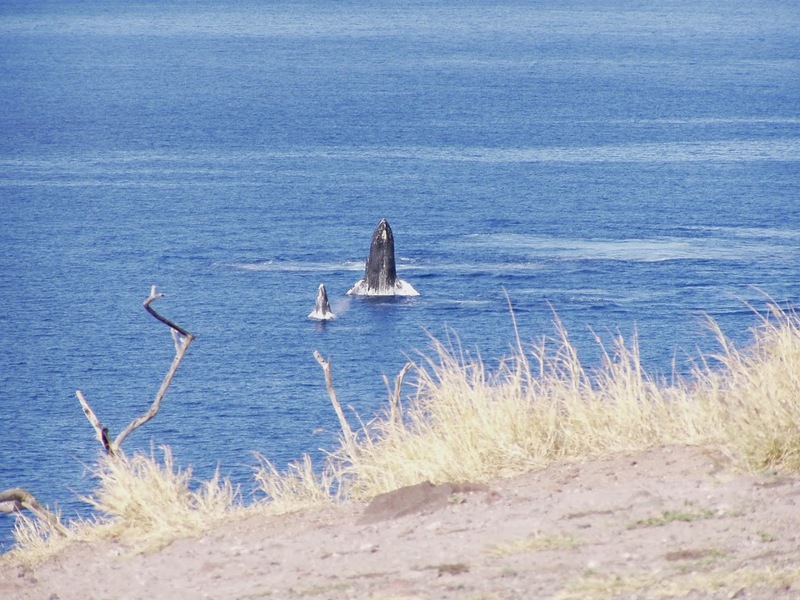 After the deaths of Kalaniʻōpuʻu and Kiwalaʻo, Kalola left for Maui, taking with her Keōpūolani. Kahekili, brother of Kalola, provided for the family and gave them his protection. After the conquest of Oahu by Kahekili he removed his court to that island, taking with him his sister and her family. At about that time, Simon Metcalf (captaining the Eleanora) and his son Thomas Metcalf (captaining the Fair American) were traders; their plan was to meet and spend winter in the Hawaiian Islands. The Eleanora arrived in the islands first at Kohala on the island of Hawaiʻi. After a confrontation with a local chief, Simon Metcalf then sailed to the neighboring island of Maui to trade along the coast. Kalola ruled the puʻuhonua of Olowalu and presided over Kaʻiwaloa Heiau. Kahekili, ruler of Maui, lived at Halekiʻi Heiau in Wailuku. This indicates the important spiritual, political and economic connection between ʻIao and Olowalu. Kalola was still ruling at Olowalu in 1790 when Simon Metcalf fired cannons on Honua’ula and Olowalu during the Olowalu Massacre. Several months after the massacre at Olowalu, Kalola watched the great Battle of Kepaniwai from a panoramic flat area in the back of ʻIao Valley. Kamehameha stormed Maui with over twenty thousand men, and after several battles Maui troops retreated to ʻIao Valley. On the island of Molokaʻi at Kalamaʻula, Kalola became ill and they could not carry out their original intention of going to Oʻahu to join Kahekili. Kamehameha followed Kalola to Molokaʻi and asked Kalola for Keōpūolani (Kalola’s granddaughter) to be his queen. Kalola, who was dying, agreed to give Kamehameha Keōpūolani and her mother Kekuʻiapoiwa Liliha, if he would allow the girls to stay at her death bed until she passed. Kamehameha camped on Moloka’i until Kalola died, and returned to Kona with his high queen Keōpūolani. Later, Liholiho (Kamehameha II,) Kauikeaouli (Kamehameha III) and Princess Nahiʻenaʻena were born to Kamehameha and Keōpūolani. 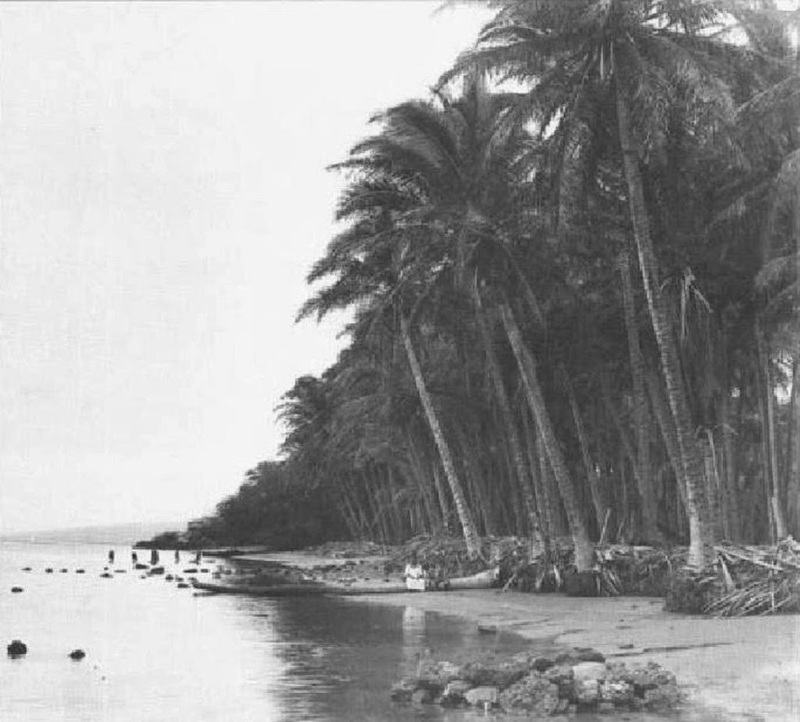 The image shows Kapuāiwa Grove, Kalamaʻula, Molokaʻi.